Toyota's bestseller is in for a major redesign. The Toyota RAV4 compact crossover is expected to get a brand-new look pretty soon, possibly as a 2019 model. This won't be a simple refresh; the next generation of the compact CUV is likely to be based on the automaker's latest TGNA platform. This modular architecture underpins the latest Toyota Camry and Prius and will serve as the base for most of Toyota's passenger cars moving forward. 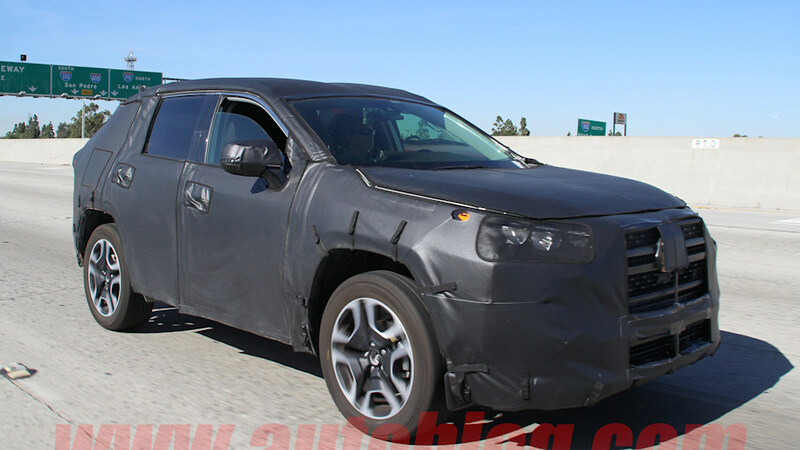 Although it's difficult to see much underneath the thick black plastic camouflage, it appears the 2019 Toyota RAV4 will eschew the car-like look of the current model, replacing it with something decidedly more rugged and truck-like in appearance. We expect the RAV4 to get styling cues based on the FT-AC Concept that debuted at the 2017 LA Auto Show. More truck like? Then if Toyota also would bring back the V6 engine, updated version . . . . Originally Posted by Mikey D.
Yeah - dual exhaust could signal that there is a V6, but on the other hand makers such as Mazda and Nissan put dual exhausts on most if not all of their 4 cyl models. Still, would be great if the '19 RAV has the V6! I see NO way that Toyota puts a V6 back in the new RAV-4. CAFE standards are getting tighter and tighter. Isn't Jeep the only ones that offer a V6 in this size SUV now?